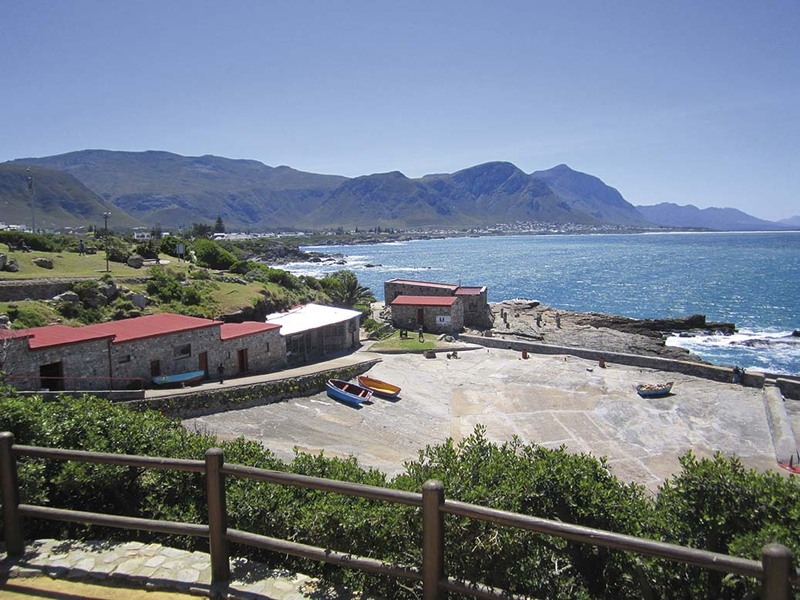 Situated in the beautiful Franschhoek Valley in South Africa s Cape winelands, La Motte is home to the finest wines, recognised internationally for exceptional quality. 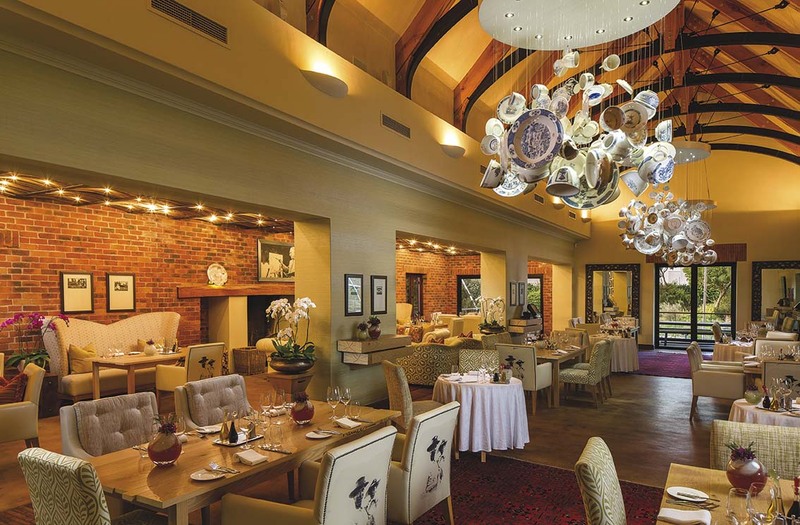 With its picturesque setting, traditional cuisine and historic charm, La Motte is an enchanting choice for those who appreciate the finer things in life. 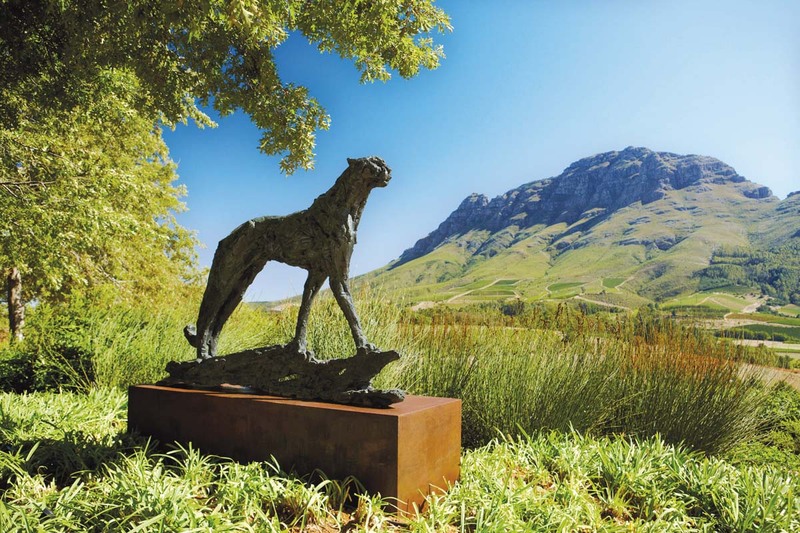 Driving through the vineyards of La Motte, guests are welcomed by the impressive Wine Bearer sculpture by Toby Megaw the inspiration for the estate s Sculpture Walk. 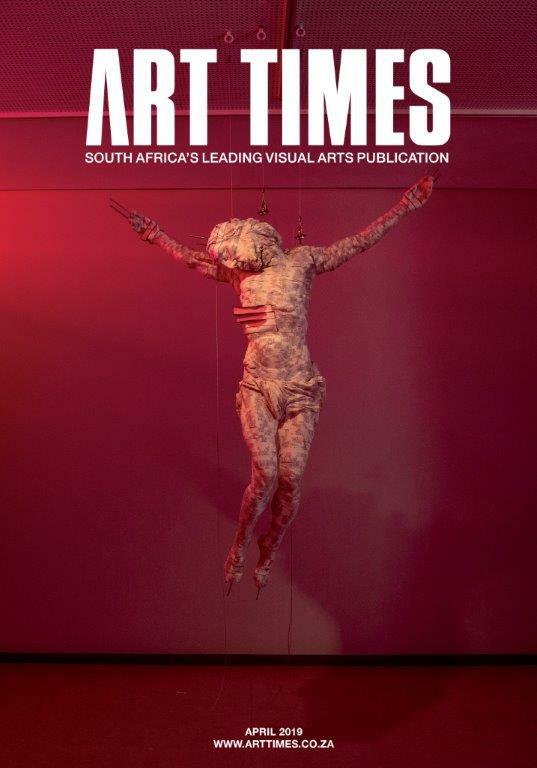 Current Show: Ink on Paper Exhibition: Ink on Paper in the La Motte Museum focuses on the main categories of printmaking, illustrated by a special selection of Rembrandt van Rijn etchings as well works by relevant South African artists and printmakers. 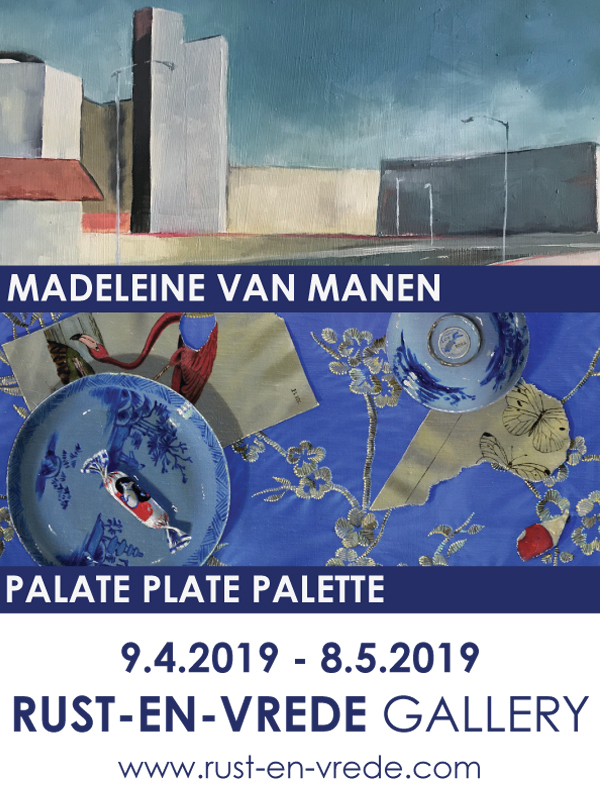 The exhibition is on display until June 2019. 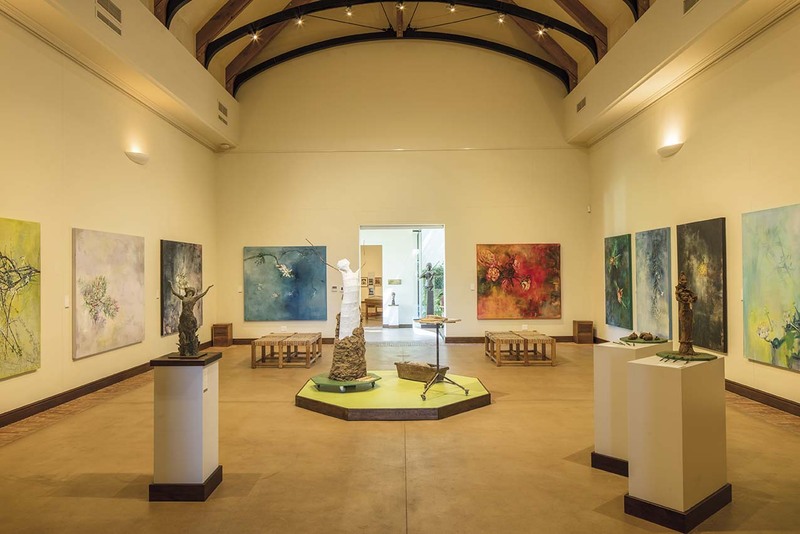 Adjacent to Table Mountain National Park, the Norval Foundation offers visitors a multisensory experience that combines the exhibition of art with an appreciation for nature. Housed in world-class facilities, the foundation includes a sculpture garden, outdoor amphitheatre, purpose-built exhibition spaces, a research library, a restaurant and bar, a shop and a children’s playground.he foundation for future generations. 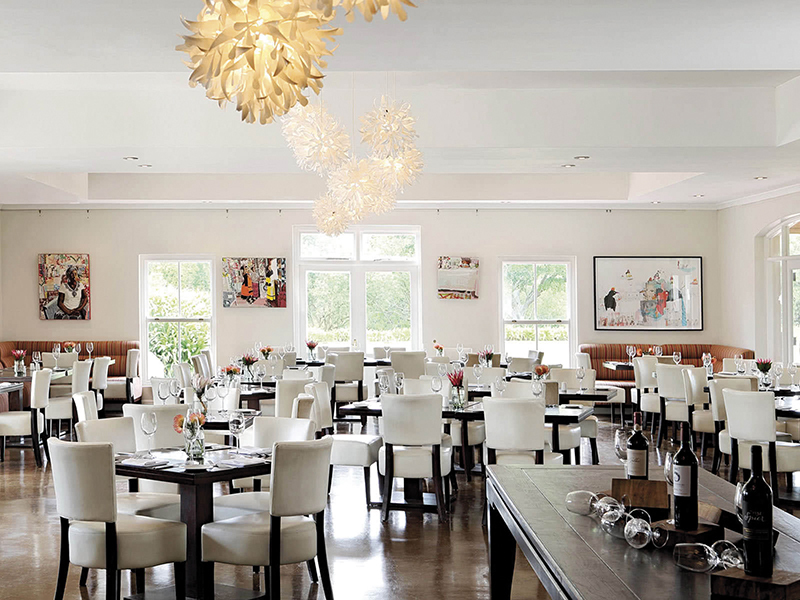 The Skotnes Restaurant is the culinary arm of the Norval Foundation. Named after legendary South African artist and teacher Cecil Skotnes, the restaurant is naturally at home in the world of art. Overlooking the foundation’s serene wetland and innovative sculpture garden, the Skotnes seamlessly integrates nature and architecture. The menu pays homage to classical South African cuisine, whilst updating its flavours and distilling its ingredients to their simplest possible presentation. All ingredients are sourced from local, small-batch suppliers, with the intention of supporting and uplifting local communities. At the helm of the Skotnes is Executive Chef, Phil de Villiers. De Villiers previously led the Primal Eatery, which was named Eat Out’s Best Steakhouse of 2017. 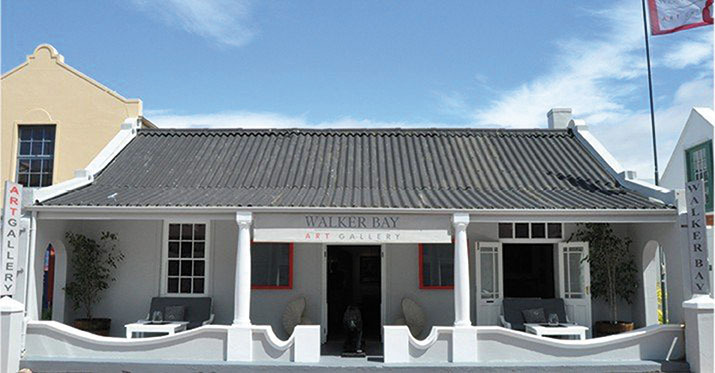 Walker Bay Art Gallery is based in the popular seaside town called Hermanus in the Western Cape, and are proud to be regarded as one of the leading establishments of 20th Century and Contemporary South Africa art pieces; showcasing work by up and coming South African artists. 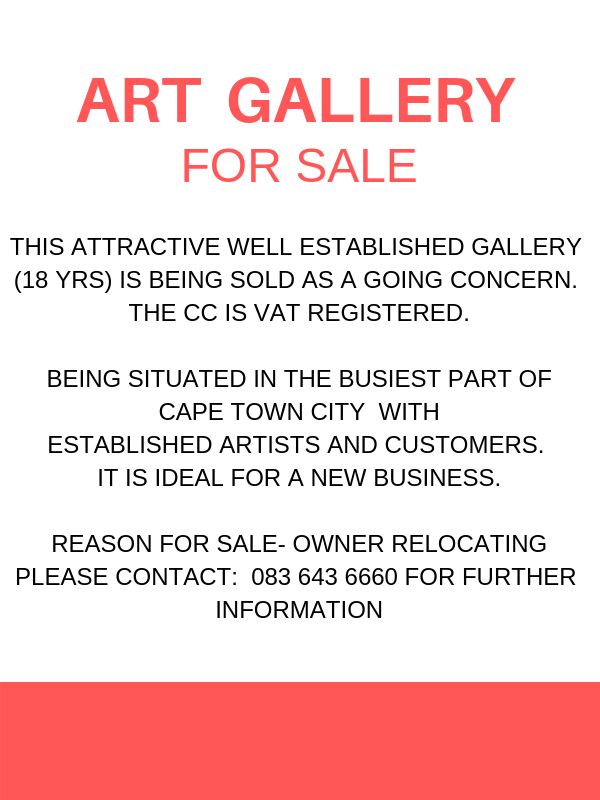 Since it first opened in 2007, the gallery has created a niche market, dealing exclusively with works of great significance in terms of execution, condition, aesthetics and value. 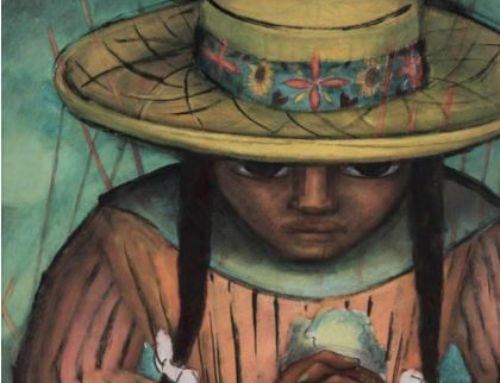 Many of the paintings are by artists that are highly sought after by fine art collectors. 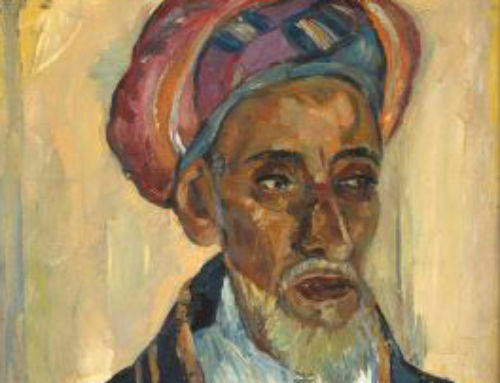 We have also developed a reputation for offering great value on our most collectible works. So whether you’re a serious art collector or just have a passion for beautiful art, please pop in and visit the gallery to view their wide selection of paintings, sculpture, ceramics and glassworks. 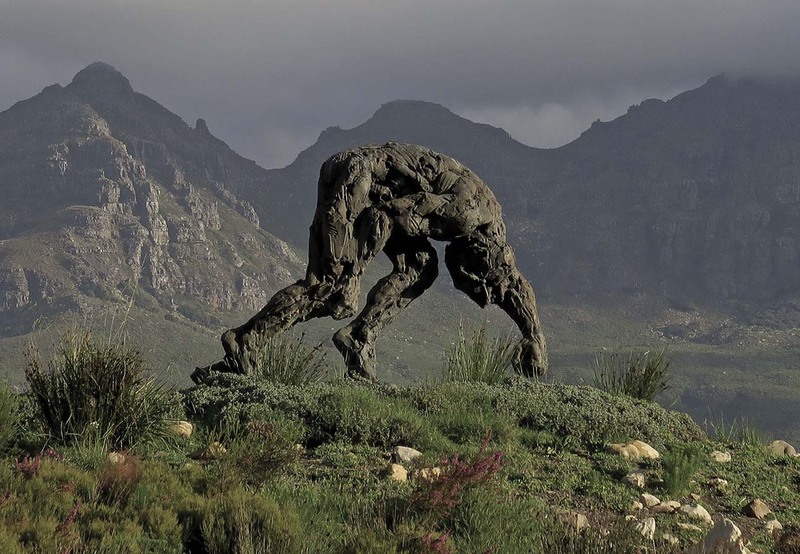 A visit to Dylan Lewis’ Sculpture Garden in Stellenbosch is like entering into a magical world of expansive landscapes and views, smells, sights and sounds that will make you leave all your worries behind. 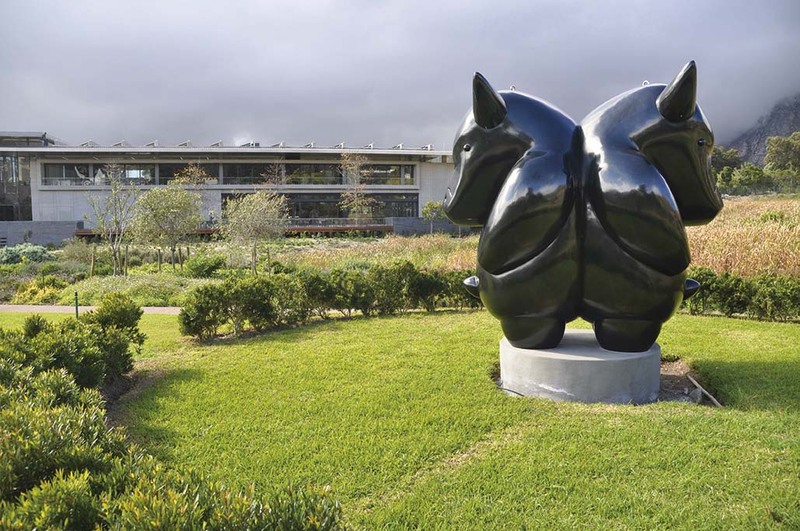 Eight years in the making, the Dylan Lewis Sculpture Garden is a place of expansive vistas, scents and the sounds of nature, with tranquil groves, hidden paths and lush indigenous vegetation. 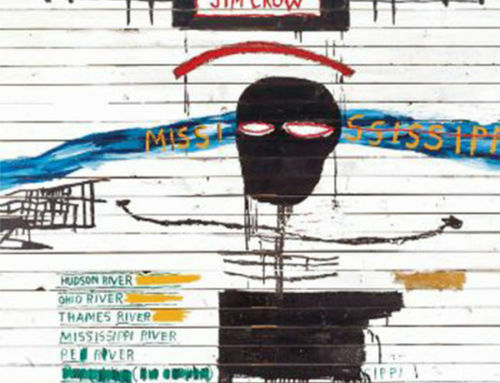 Dylan Lewis Studio and Sculpture Garden visits are by appointment only. A tour of this beautiful garden is part of our exclusive Stellenbosch Art Tour but guests on day visits and tours to Stellenbosch are more than welcome to book an appointment to view the garden with info@dylanart.co.za. Tours are by appointment only. 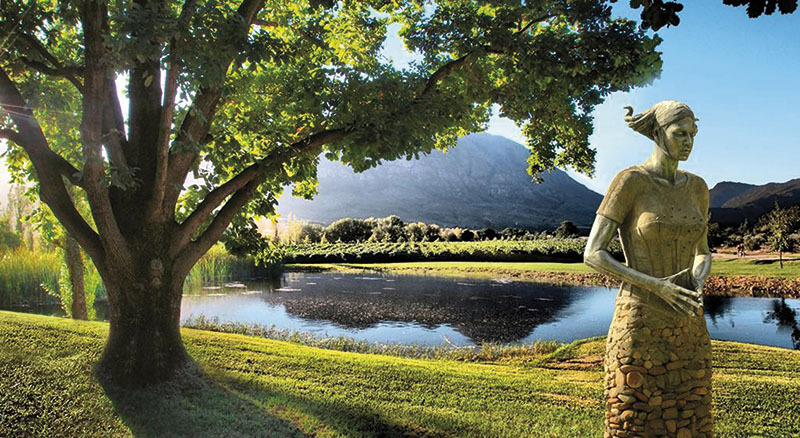 The Dylan Lewis Sculpture Garden is situated at the end of a private road in Paradyskloof, Stellenbosch. We are open from Tuesday to Saturday from 9:00 to 17:00. Our last entry is at 16:00. Children under 18 have complimentary access when accompanied by an adultThe garden has been a project of Dylan Lewis since 2009 when he hired an excavator and moulded and shaped the landscape to form this beautiful 7-hectare sculpture garden. 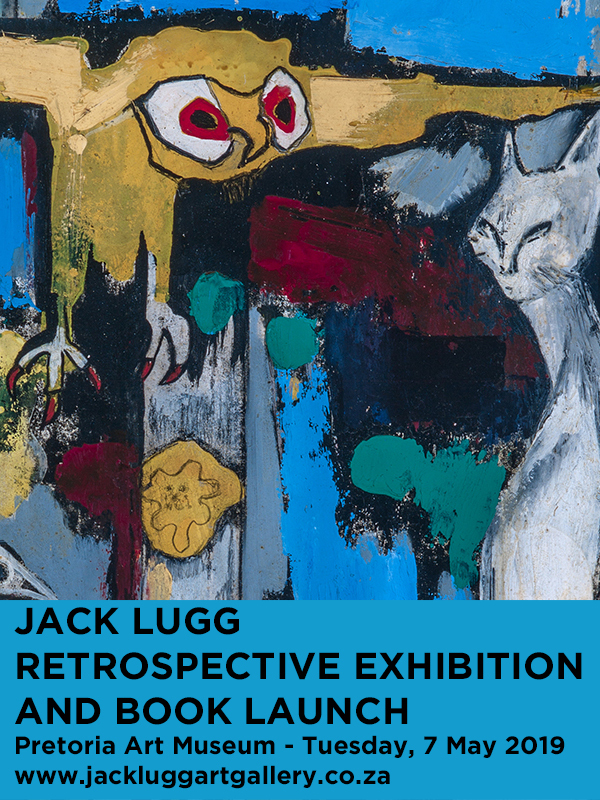 Over 60 sculptures constituting a comprehensive record of Lewis’s full artistic development thus far have been carefully placed in harmony with the landscape: the human form, shamanic figures, monumental abstracted fragments and his iconic great cats. Along four kilometres of paths, one is led on a journey through different ‘rooms’, from the heather hills dominated by earthy male images to the meditative poplar grove with its sensual female torsos. The project began serendipitously in 2009 when Lewis hired an excavator on a whim and began shaping the contours of what would become the seven-hectare sculpture garden. Today, the artist continues to explore themes integral to his work in this serene landscape on the slopes of the Stellenbosch Mountain looking out over vineyards towards the ocean. Here, the notion of the untamed wilderness within the human psyche is expressed both in the sculptures and their positioning in the landscape. 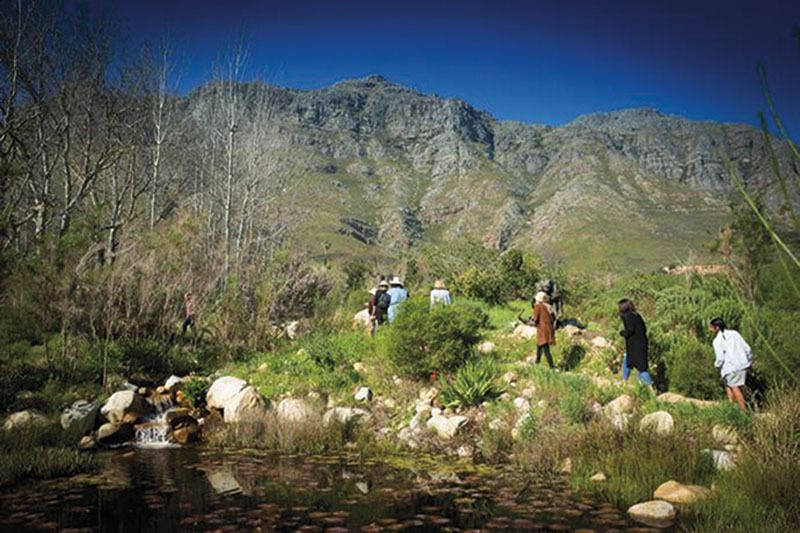 The garden focuses on indigenous species, particularly fynbos. Although planted to give year-round colour, it peaks in July and August into September, when its many buchus and ericas are in fragrant flower. A large selection of ericas, particularly unusual varieties such as Erica verticillata, extinct in the wild, was sourced from Kirstenbosch National Botanical Garden. The influence of the Japanese gardens and the Japanese wabi-sabi aesthetic is evident in the minimalist, sculptural design of this garden, its ellipses and curves, its sense of spirituality and acceptance of transience and imperfection. Delaire Graff Estate is where you can experience the ultimate in luxury, combined with our own unique blend of South African hospitality. 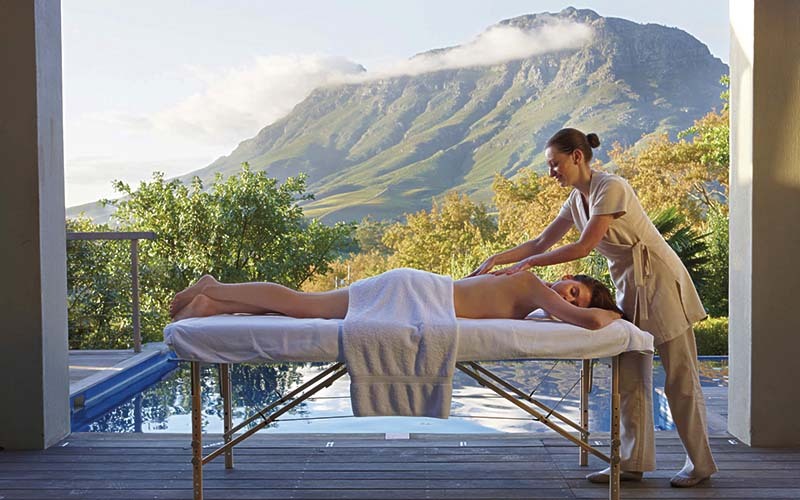 Nestled between majestic mountains and overlooking the vineyards of Stellenbosch, the incredible views provide the perfect backdrop to their outstanding restaurants, state-of-the-art winery, exclusive Lodges, exuberant landscaping, destination Spa and luxury boutiques. Their talented team harness a united vision and passion, and their continuing dedication brings the true beauty of this piece of paradise to their guests each and every day. 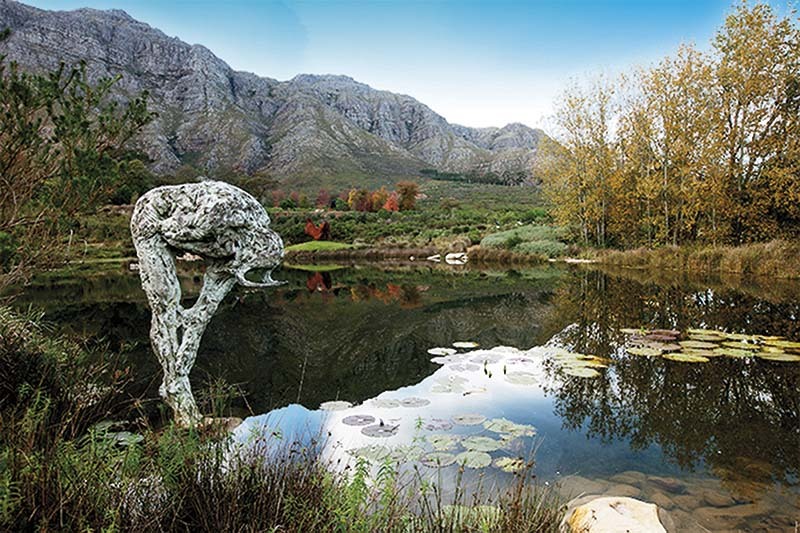 Flanked on all sides by mountains in the Upper Breede River Valley, Tulbagh is utterly unique in its topography and natural beauty. It was this special character that attracted the first settlers here over three hundred years ago, and the same quality which led to the selection of Tulbagh as the site for Saronsberg winery. Recognising the distinctive terroir and potential of the valley, Saronsberg has joined the mission initially led by Rijk’s Cellar to prove the region’s capacity for producing wines of outstanding quality. 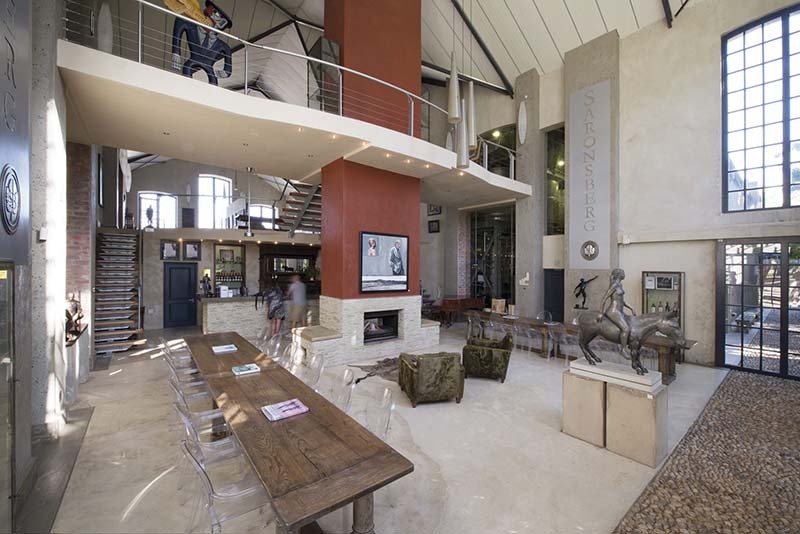 The cellar is a contemporary building with a beautifully finished tasting room. 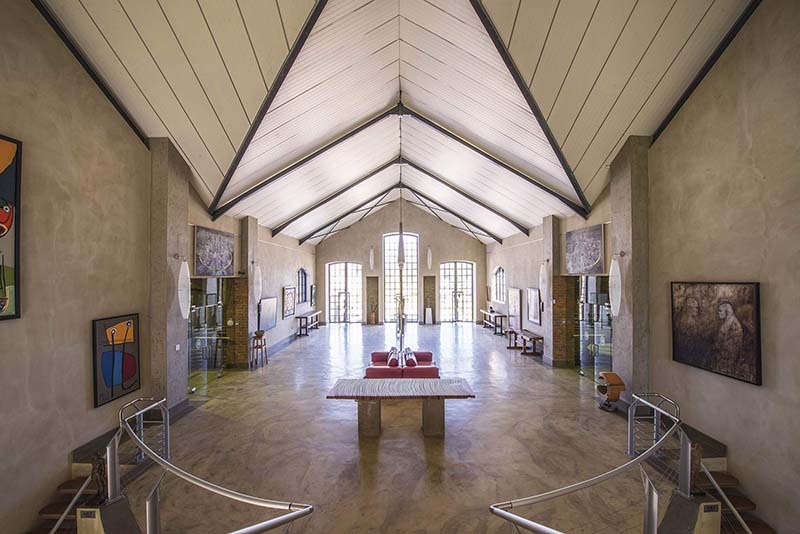 Earthy textures were combined with contemporary touches in this spacious area from where visitors have views into both the hi-tech fermentation cellar and the maturation cellar whilst being surrounded by Saronsberg’s contemporary art collection. Winemaker Dewaldt Heyns, who has been head winemaker since 2003, is passionate about every aspect of the winemaking process, which is unique and quite labour intensive. Handpicking, intensive sorting of the berries, a gravity-fed fermentation cellar and focus on attention to detail are key to the phenomenal success Saronsberg wines have consistently enjoyed since the maiden vintage in 2004. This consistent performance has led to Dewaldt being nominated and accepted as member of the prestigious Cape Winemakers Guild in 2008. Built village-style along the Eerste River, our four-star Spier Hotel is surrounded by vineyards, tranquil gardens and historic farm buildings. 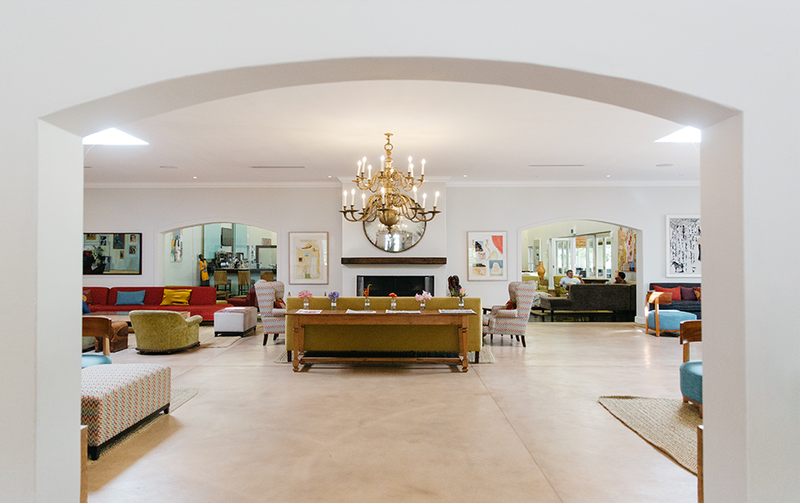 With comfy and spacious art-filled rooms, a Kids’ Clubhouse and several pools, the hotel embodies the warm hospitality of the Cape Winelands. The Spier Art Trust run many creative projects including the following, The Mosaic Kraal, Art Collection, Artisan Studio, The Songsmith, Seasonal Exhibition Programme, The Dying Slave, Artists’ Patronage, Programme, Light Art Festival, Secret Festival, Spier Arts Academy, The Creative Block Project and The Artist Patronage Programme. 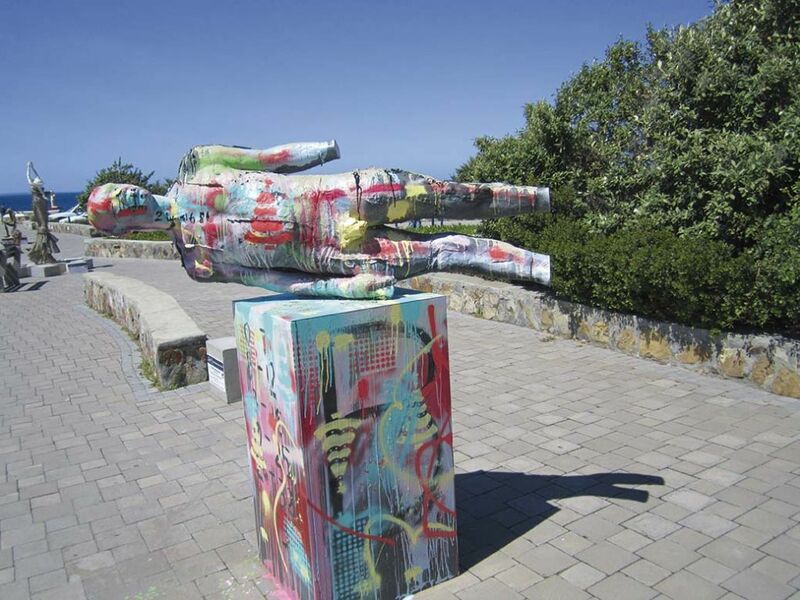 Art is as much part of Spier as good food and fine wine are. Spier believe it’s a powerful tool for transformation, sparking new insights and inspiring them to engage with the world in new and imaginative ways. Spier support and stimulate South Africa’s arts community through projects that honour our African arts heritage and enrich its future. 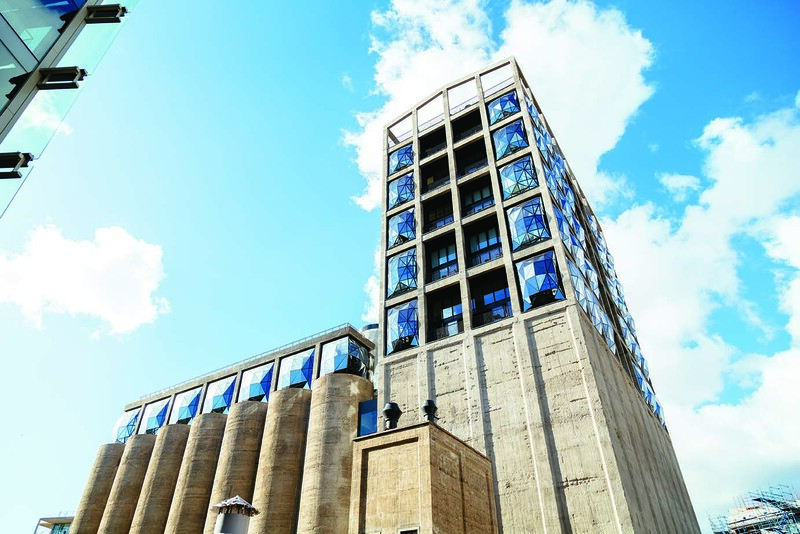 Zeitz Museum of Contemporary Art Africa (Zeitz MOCAA) is a public not-for-profit contemporary art museum which collects, preserves, researches, and exhibits twenty-first century art from Africa and its Diaspora; hosts international exhibitions; develops supporting educational and enrichment programmes; encourages intercultural understanding; and guarantees access for all. Over one hundred galleries, spread over nine floors, are dedicated to a large cutting edge permanent collection; temporary exhibitions; and Centres for Art Education, Curatorial Excellence, Performative Practice, Photography, the Moving Image, and the Costume Institute.